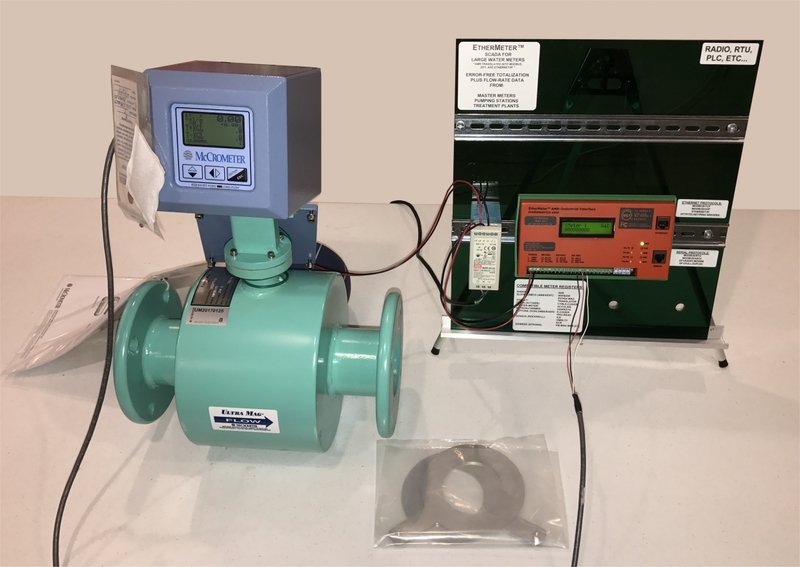 During the period 2014 through 2016, McCrometer Inc. (Hemet, CA) rolled out AMR communication modules for its entire line of propeller-based and magnetic flow meters. To date, SCADAmetrics has performed validation testing on these meters, and compatibility has been verified 100%. 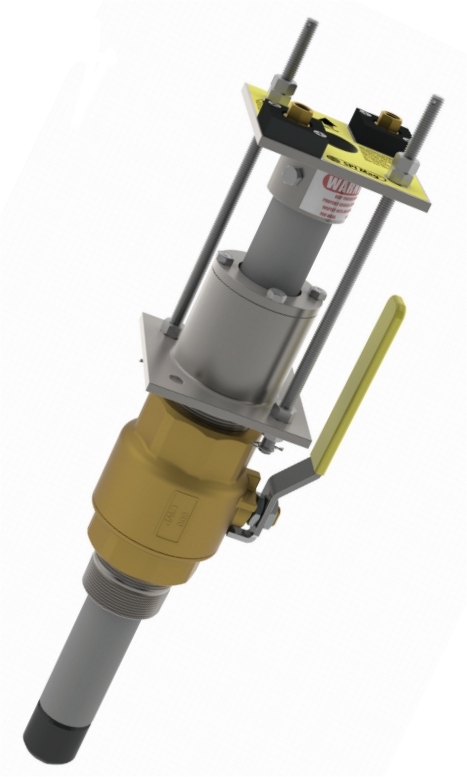 Models include all Propeller-Type Meters and all Magnetic Flow Meters with the AMR communication option, which McCrometer calls “SmartOutput™“. The SmartOutput™ is offered in three variations: 6-digit, 8-digit, and 9-digit; and the EtherMeter is compatible with all variations. 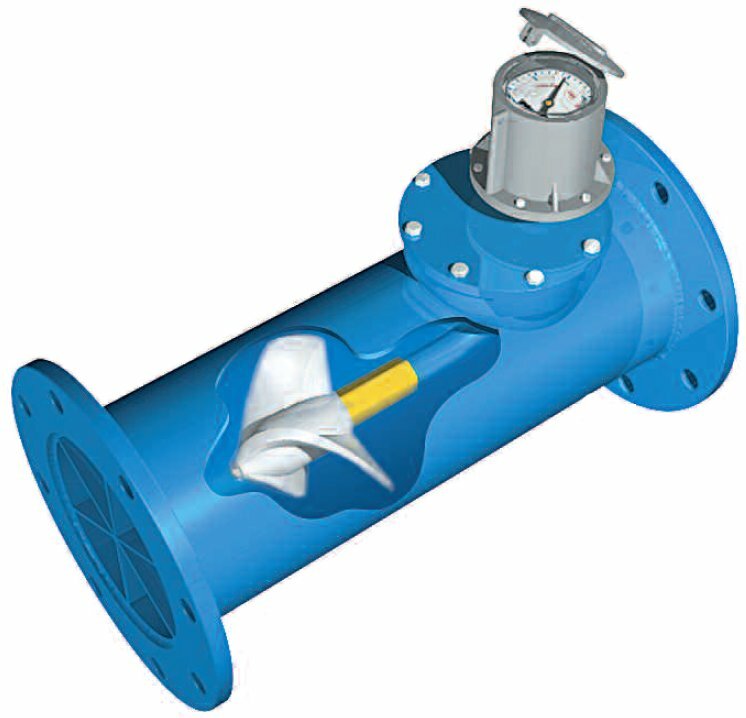 If the McCrometer flow meter is to be connected to an EtherMeter only, then 9-digit is recommended. However, if the meter is also to be connected to an AMR System, then the number of digits should be selected based upon AMR system compatibility. 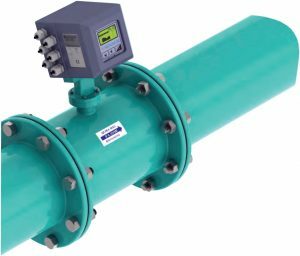 When connected to a SCADAmetrics EtherMeter, the increased resolution provided by 8- and 9-digit SmartOutput™ allows the user to collect realtime rate-of-flow information and also helps with leak detection algorithms. And, as with all encoder-type registers, it allows for revenue-grade-accurate totalization. When connecting the EtherMeter to a McCrometer MagMeter Transmitter, please note that you can use either the AMR cable provided by McCrometer, or you can replace with your own cable. A good choice is Belden 8723 or equivalent. Access to the AMR signal terminal block and power terminal block is through the rear cover. A 5mm Allen Wrench is required to open the cover. Interested in more information? Give us a call. 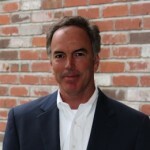 We’ll be glad to discuss how the EtherMeter and McCrometer flow meters can be combined to bring revenue-grade totalization and rate-of-flow information into your SCADA, Telemetry, or Building Automation System. The EtherMeter Compatibility Matrix has been updated to reflect these results. Test meters provided courtesy of McCrometer Inc. (Hemet, CA). McCrometer 3 Inch UM-06 UltraMag Magnetic Flow Meter, Connected to the EtheMeter on the Test Bench.